The SpiceJet sale is happening between January 22 to January 25 and the travel period during this sale is till December 12, 2018. SpiceJet Republic Day Sale is offering international travel from Rs 2,469. New Delhi: As Republic Day nears, SpiceJet the domestic low-cost airline, is offering air fare discounts for a limited period as part of 'SpiceJet Great Republic Day' sale. This sale comes after AirAsia and GoAir airlines offered attractive sales earlier this month. The SpiceJet sale is happening between January 22 to January 25 and the travel period during this sale is till December 12, 2018. For domestic travel, the all-inclusive fare starts from Rs 769 and for international travel, the fare starts from Rs 2,469. While the flight tickets can be booked on www.spicejet.com, additional discounts are being offered if one downloads the Spicejet mobile application for ticket bookings. To get this discount, one has to use the offer code: REP69. Special discounts are also being offered to SBI card holders as they get to avail a 10 per cent off and free priority check-in. The promo code for SBI card holders is SBISALE. Another offer on cards is valid on pre-booking a meal, a preferred seat or booking Spicemax, a product that offers priority treatment, extra leg room and complimentary meals, among other benefits. For doing so, one can avail a 20 per cent off on ticket and Rs 500-worth Croma voucher. For this offer, one has to punch in the code ADDON20. Notably, these promo codes are valid for domestic and international air travel. Other pointers to remember for Spicejet limited-period sale are that it's applicable only on non-stop flights and fares vary from sector-to-sector depending on travel distance; the sale offer cannot be combined with any other offer and it is not available on group bookings. The airlines has also mentioned two points of caution. First being that the inventory for this sale is limited and is available on first-come, first-served basis and secind being that the flight schedules and timings are subject to regulatory approvals and change. 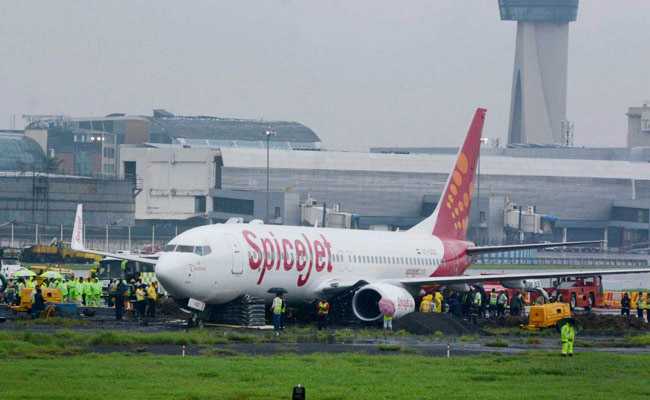 SpiceJet operates a fleet of Boeing 737-700s, 737-800s and Bombardier Q-400s. Its network covers seven international routes.